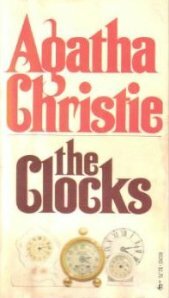 In The Clocks by Agatha Christie, I can't work out why the murder victim was left in Ms. Pebmarsh's townhouse. What's the connection between her and the victim, Mr. Curry/Duguesclin, done in by the greedy developer next door, with help from his wife and his sister-in-law? Seems like two separate plots concluded separately. Was the only link between the braille-reading red and the dead Canadian that the nasty neighbors used Pebmarsh's parlour for a body dump?